When it comes to making things last on television, few know how to do it as smoothly and as hilariously as the gang behind FX’s It’s Always Sunny in Philadelphia, which is gearing up for Season 10 premiering in January. Thankfully, we may have a new way to experience their brashly bizarre comedy, as FX has given the greenlight to their pilot Pariah. 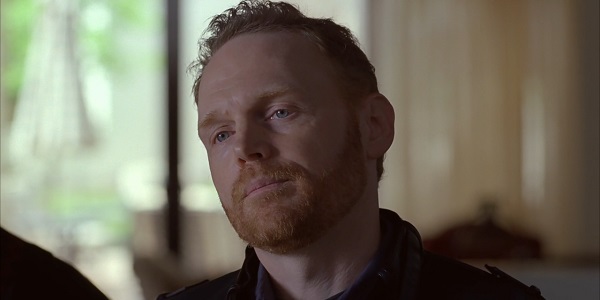 The comedy will be fronted by the always on-point comedian Bill Burr, whom you might recognize from his recurring role as Kuby on Breaking Bad. In Pariah, Burr will play Joe Abbot, a mercurial man who ruins his job as a TV personality by having a huge meltdown on the air. The act turns him into an unwanted presence in show business, and he’s forced to enter the normal world as someone who doesn’t really know how to live in the normal world. Considering how ridiculous It’s Always Sunny in Philadelphia handles issues of social status and class, this should be a hoot, especially with Burr’s seething rage presumably just behind the surface of Joe Abbot's psyche. According to THR, Pariah was created by It’s Always Sunny in Philadelphia writers John and Dave Chernin, who got their break on the show starting in Season 6. Stars Rob McElhenney, Charlie Day and Glenn Howerton, through their RCG Productions banner, worked a pilot deal in when FX renewed the show through Season 12 earlier this year, and this is the fruit of that deal, pitting together some of the funniest people TV has to offer. Though it was never a big part, Burr’s low-key Breaking Bad role kind of kick-started his acting career, though he's mostly stuck to comedies in the past few years, appearing in Paul Feig’s The Heat, Comedy Central’s Kroll Show and the upcoming horror comedy Zombeavers. If it ain’t broke, don’t shoehorn it into a drama when it’s obviously a source for laughter. (That’s how it goes, right?) I guess if this series goes forward, it would thwart my already thwarted dreams that Burr would reprise his Kuby role for AMC’s upcoming Breaking Bad spinoff Better Call Saul. You’ll be able to find Burr’s latest comedy special, Bill Burr: I’m Sorry You Feel That Way, when it debuts exclusively on Netflix on Friday, December 5.